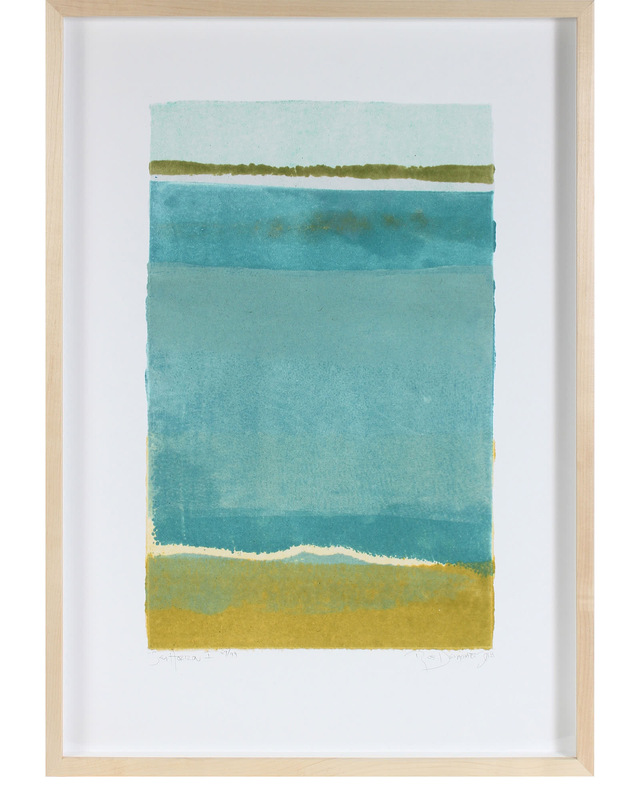 "Sea Horizon I" by Rob Delamater&quot;Sea Horizon I&quot; by Rob Delamater, alt="&quot;Sea Horizon I&quot; by Rob Delamater, "
Entitled "Sea Horizon I" this archival limited edition print (the edition is limited to 250) on paper is by contemporary Bay Area artist, Rob Delamater (b. 1966), co-owner of Lost Art Salon in San Francisco. Delamater creates abstract compositions that evoke organic shapes and motifs from the natural world. This piece was inspired by the water horizon off the coast of Northern California in a remote area called Sea Ranch. Framed in a contemporary maple-wood frame using gallery-grade acrylic. 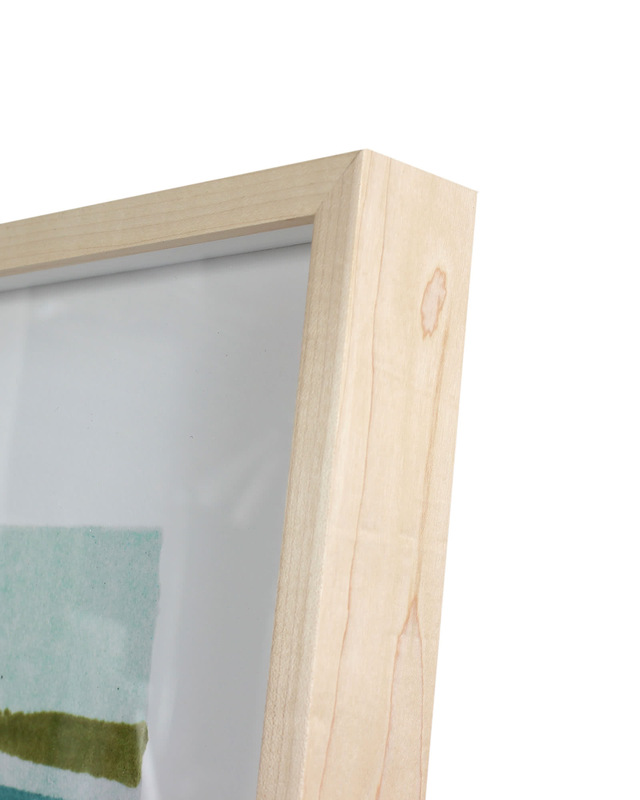 The piece is then set-back from the surface using archival spacers, resulting in a custom gallery look. Signed and titled in the plate and individually numbered by hand. Overall Dimensions: 20.5" x 29"